Big Agnes Seedhouse SL1 - This will be one of my new additions to the gear list. During the indoor trial in the living room, it's setup should be pretty quick, although the loop system for the poles will make it impossible to do the rainy-day-special setup: fastfly first then add the tent body clipped in underneath, the design requires the tent body to be setup first, getting wet in the process. Other than that, it'll be a little short on room for the 6'6" man but should be just enough to suffice. Very light (2lb6oz) I look forward to giving it a whirl. 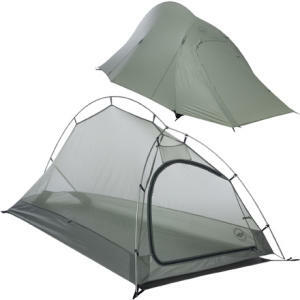 Kelty Gunnison 2 - This is my standby backpacking tent that will probably come along on loan to Ryan and Daryn for a close and cudley two man shelter. It was cheap and everything about it is easy. It weighs in at a little heavy 5lb3oz (2lb9oz/ man). Although its 92x58 floor plan is roomy as far as most 2 person tents go. Tent setup is ultra quick and simple and the vestibule space is a pure luxury! Gets a little cozy with two big boys but that's the way it works in the backcountry. You gotta be willing to cuddle man! 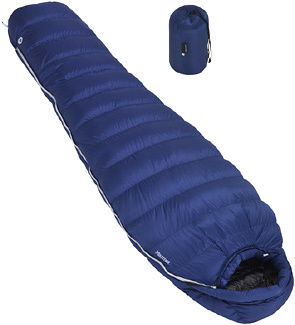 Marmot Helium 15deg Long Sleeping Bag - This thing is a work of pure genius for a long bag at 2.1lbs!!! Super light, Super Warm, User friendly. It can't be beat! Expensive but an easy way to let dollars save you pounds. It has yet to let me down. Exped SynMat 7 Pump Deluxe - Super Big and comfortable. My ability to get a good nights sleep is one place I don't care about dollars or weight, I'll take whatever it takes to let me sleep. Being a side sleeper is tough in the hills but this pad allows me to do so comfortably. At almost 2.5 lbs it is heavy, but compared in comfort to a similar weight thermarest, it blows them away with its 2.8" thickness. I tried the closed cell, tried the self inflating but nothing lets me sleep like I do at home like this thing. Jetboil PCS - If you know what it is you already outta know it's the greatest and there is no other option for Mountain House meals. Speaking of Mountain House, I eat these things when I run out of food at home. They are that good and I usually end a meal in the backcountry wondering why I don't eat these things everyday at home! They are delicious! Potable Aqua w/taste neutralizer - Super lightweight, tastes great. Nuff Said. Sea to Summit eVent Compression Dry Sack - Everyone with a down bag always wished there was a truly lightweight way to store that bag in a waterproof sack to avoid compromising their precious down. Until now the dry bag option was like carrying a rubber sack that completely eliminated the weight advantage of the down sleep system. This stuff sack made of the ultra lightweight (as well as waterproof and breathable) eVent fabric cures those ales and really gives an extra sense of security knowing you can take on a monsoon and still ahve a dry comfy down bag. Sea to Summit Pocket Hand Wash - This is another great innovation from the Sea to Summit folks. Picture a Listerine Breath Mint Strip for your hands. It is small dry leaves of soap much like the breath strips. Add water and they foam right up into a sudsy hand soap, that is also biodegradable and safe for the backcountry. I don't know what I use to do without them. Not necessarily scent free for hunting but nothing a few pine needles can't counter act. 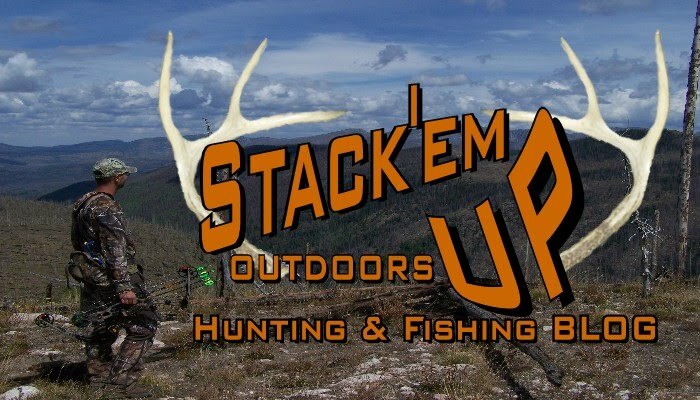 Sitka Gear - If you've tried it, I don't need to say anything. If you haven't, my last statement should say enough. Worth it's price tag, and that says alot because that's what the price tag says...ALOT! Danner Pronghorns - Been alot of talk about these too but I have never had a boot 'just feel right' like these Danners did. My first high dollar hunting boot and probably my last. I'm not saying nobody makes anything better or comparable, I'm just saying I'm so happy with these that I don't care. Badlands 4500 - May very well be on it's maiden voyage with this 8-9 day hunt. Risky, I know, but hopefully it holds up to its reputation. I'm a little nervous heading to the woods with a pack I haven't had the chance to trial. Oh well.... It'll look good with 2 or 300 inches of bone hangin out of it whether or not my back hurts! One first glimpse takeaway, no waterbottle pockets, which means whatever you fit in the bladder is all you got... Something about drinking out of a hose that isn't as refreshing to me as pouring it out of a nalgene all over myself while trying to get a sip. Guess I better get used to it. Nikon Fieldscope 20-60x60 - Hasn't even shown up on my doorstep yet. Hopefully it helps and falls into its price range in performance like I expect it to. More on this one later or post-hunt. Steiner Predator C5 10x42 Binos - Very impressive in recreational use and out on coyote and pig hunts here in CA but yet to really be tested. Another on ethat should have a good report post-hunt. Havalon Piranta-Z Knife - The best $40 spent in hunting supplies. This is the folding knife that holds the replaceable scalpel blades. Comes with a twelve pack of these things and truly designed for the task of cutting flesh where sharpness and precision could not be more important. Makes amazing fast work of skinning and caping. I like it, you'll like and SUPER light at 2 ozs. Shoot it only weight 3.15 is with 12 spare blades and a holster!!! That can't be beat! Well that's a "short" list to get the juices flowing, any questions on any of the gear let me know and I'll give you my opinion, for what its worth. I'm not a professional but I know what works for me and hopefully that's enough for others and will help with their own gear selections. Hopefully Dickey will finalize his gear list here in the next week and we'll be on a roll... AND BUY YOUR TAG ALREADY!!! Great inaugural post Dbo, adds up some some Elk down!! How do you manage condensation in the down bag using the compression sack? Is there some point you have to air it out?